Today, the United Nations’ World Water Day aims to raise awareness for the global freshwater crisis. The goal is ambitious: provide access to clean and safe water for the billions of people who still suffer from the lack of it. The good news of today is: It is already possible to monitor and assess water quality, locally and worldwide, from space. 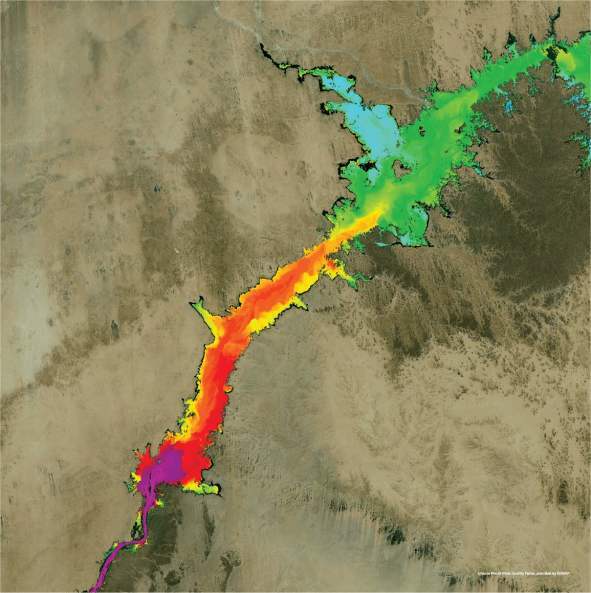 Already nowadays it is possible to monitor and assess freshwater quality, locally and globally, from space. EOMAP supports water authorities and reservoir managers with focus on dedicated freshwater systems, e.g. at Lake Elsinore or in Space-O. We also provide data on a global level, e.g. for UNESCO and administratives around the globe, in using these facinating technologies. You want to become a specialist in this field and manage your own monitoring project? Then use the cloud-based EOMAP eoLytics Water Quality processing system. Sounds interesting? Get in touch with us or download the EOMAP Water Quality Demo Dataset to see what we, together with you, are capable of.